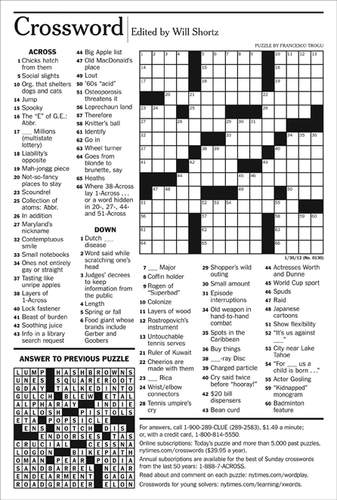 Download the PDF (click on the link in right column) and try to solve the puzzle. 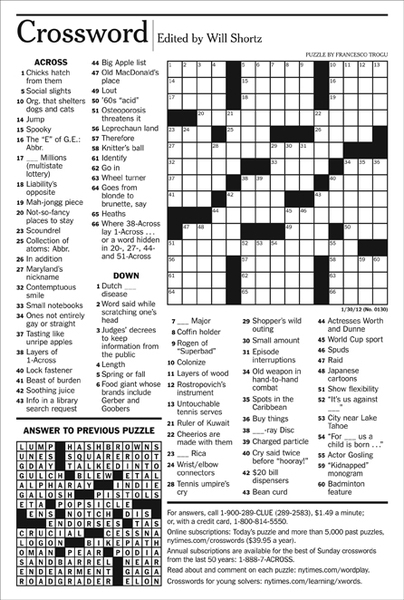 The Crossword Puzzle, constructed by our son Francesco (16) and edited by Will Shortz, was published in The New York Times on Monday, January 30, 2012. You can try to do the puzzle. Just download the PDF at right. Then read Wordplay, the NY Times blog and the entry on Francesco, with a bio and lots of readers' comments and fun observations.